Elephant deaths on railway tracks may be averted when a sensor built by a professor at the Indian Institute of Technology-Delhi (IIT-D) is put to test. If all goes well, it may be installed along the tracks frequented by elephants and prevent their cruel deaths. So far Kar has tested the sensor only inside the IIT-Delhi campus and the results have been "satisfactory". "The success of this preventive measure depends on detecting the elephants much before the train is there. Three kilometres before roughly translates to 3-4 minutes before," he added. "A vibration detector, capturing heat rays coming from the animals, a camera to recognise the animals, and lasers -- the sensor has these all. So we have several sensors to detect the presence of animals. We use one sensor to check the outcome of the other sensor to corroborate the result... We have our own radio network with the sensors," Kar said. 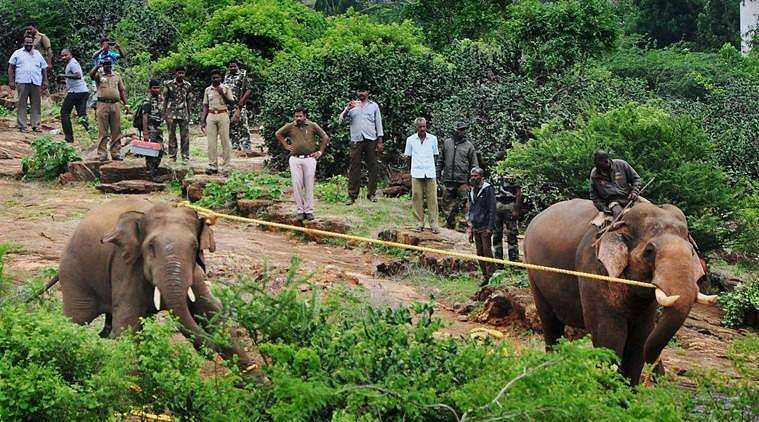 "Various measures have been adopted, jointly by the Railways and the forest department, to prevent elephant deaths on the tracks. These include signage on the tracks to pre-warn train drivers, speed restrictions in elephant corridors and deputing forest officials in the control room," a senior Railways official told IANS. "All these measures are adopted at locations jointly identified by the forest department and railways in Assam, West Bengal, Uttarakhand, Kerala and Odisha," the official added.